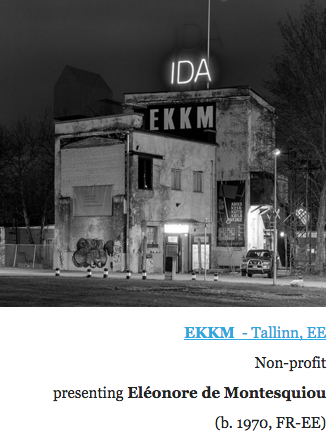 Invited as e-resident by EKKM, curators Laura Toots, Marten Esko, Kirill Tulin and Johannes Säre, at Poppositions, Bruxelles, we will question the notion of residency, the right of being a resident, the right of being a subject of rights . POPPOSITIONS will open its doors on Thursday 19 April for its 7th edition entitled In Watermelon Sugar, taking place at the former Ateliers Coppens, in the Dansaert District (Brussels downtown). For the second year in a row, the artistic direction was entrusted to Niekolaas Johannes Lekkerkerk, curator and writer at The Office for Curating (NL). Initiated in 2012 by Liv Vaisberg and Pieter Vermeulen, POPPOSITIONS presents emerging talents in a site-specific context. POPPOSITIONS encourages new experiemental and innovative approaches to the art market. It is both a curated exhibition and an ongoing critical dialogue which has grown over the years into becoming the leading fair for emerging galleries and not-for-profit organisations.